From Bandai Hobby. 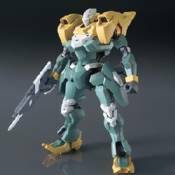 The Hekija from Gundam: Iron Blooded Orphans has arrived! Further gimmicks and weapons to be unveiled at a later date! Completed figure stands approximately 5' tall.